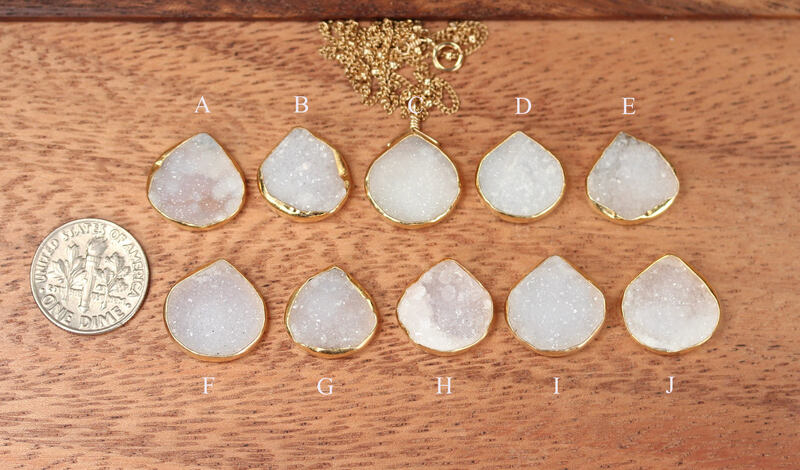 Druzy stones shine naturally like stardust sparkles. 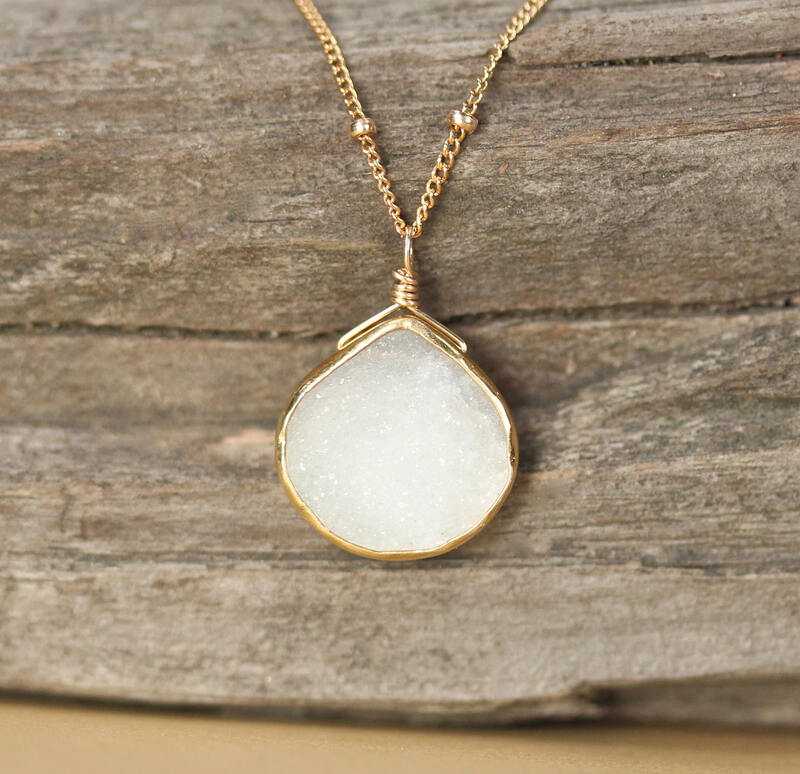 Perfect for layering, this beauty has a classic, delicate, and dainty feel to it. 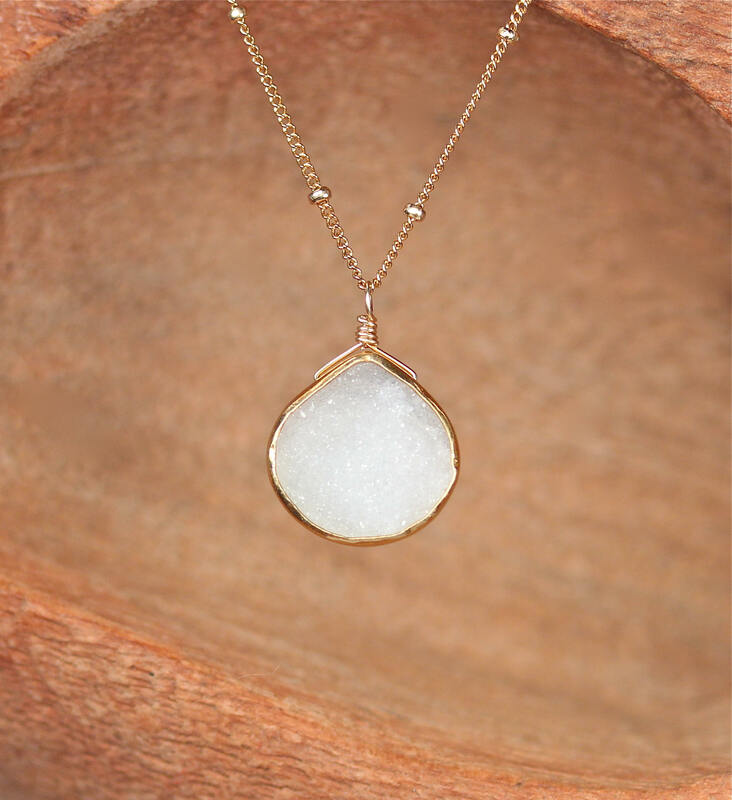 And for the love of nature, the gem you receive will be one of a kind, the same size, the same shape, but not necessarily identical to the one in this photo.